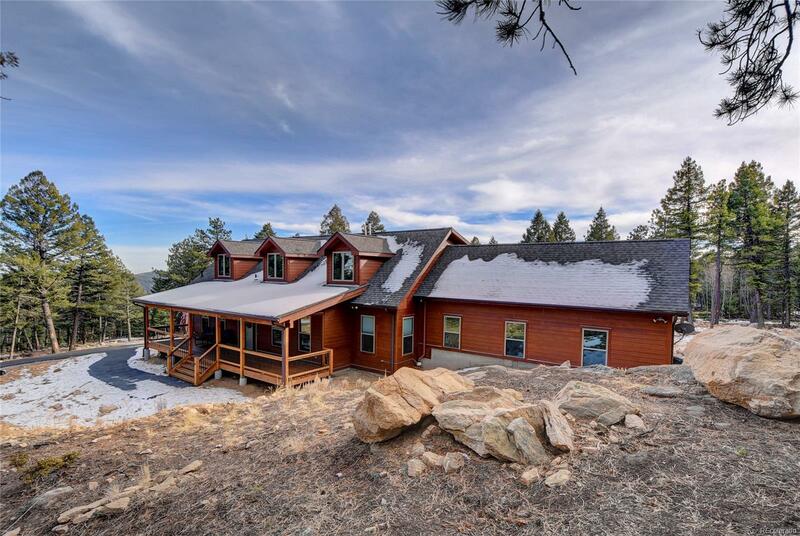 Surround yourself with serenity in this gorgeous home on 10.74 flat acres. Imagine waking up each morning to the majestic pines just outside your windows in the main floor master suite featuring his and hers closets as well as a beautiful five piece bathroom. The kitchen is sure to delight with the Italian Verona gas stove, walk in pantry and the open gathering space into the family room and breakfast nook. You will love all the natural light from the many windows. Enjoy the peaceful outdoors from one of the three decks or take a walk around your property. Easy access from 285, a paved flat driveway, super sized three car garage, huge upstairs bonus room, main floor study, no maintenance exterior wood siding, natural gas, low utilities and a massive storage room complete this move in ready home.